CRESTLINE — The Crestline Bulldogs, winners of three straight, will face Danville on Friday, at home. The Blue Devils are 2-3. 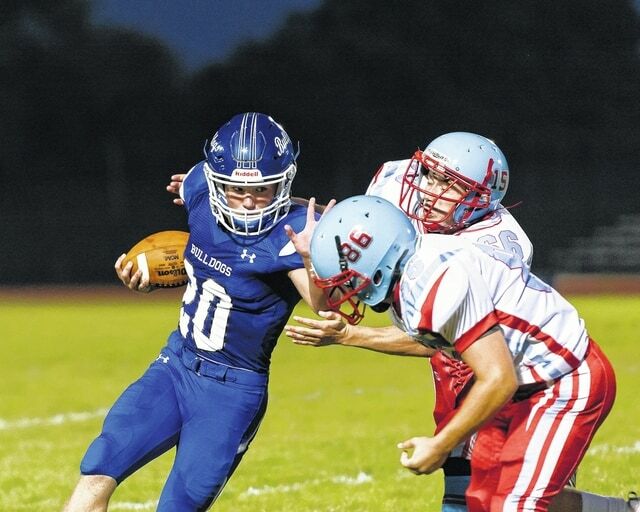 The ground game was once again the point of emphasis for Crestline. On the night, the Bulldogs amassed 520 total yards on the ground while scoring seven touchdowns. JC Clark was a workhorse, rushing the ball 25 times and gaining 202 yards and finding the endzone three times. Quarterback JR Wolfe had six rushes for 164 yards and a score. Gaining 64 yards on five carries and contributing a touchdown was Caleb Moore. Rounding out the ground attack for Crestline was Dakota Wireman, who gained 62 yards on seven carries and picked up two touchdowns. The only score through the air came in the second quarter when Wolfe completed a 9-yard pass to Bailey Wollard. With the win, the Bulldogs improve to 3-2 at the halfway point in the season.